Storm Thorgerson and Aubrey “Po” Powell of Hipgnosis could scarcely have imagined the ways their album art would impact culture. Impossible as it may be to believe, even for folks with firsthand recall, there was once a time -- and it lasted for decades -- when LPs ruled. Abbreviated history lesson for younger readers: there used to be things called records and they were sold (e.g., you had to pay for them) in places called record stores. While esteemed artists such as Neil Young and Steven Wilson, as well as recalcitrant audiophiles from the old school and opportunistic hipsters, all lament the ragged glory of all-things analog, we’ll never live in that world again, just like our futures won’t include tube TVs or cars with cassette decks. Debate can broil about what we lost and whether consumers and musicians are better (or worse!) off in a digital world of playlists, pirated content, and the absence of physical product. What’s difficult to deny is that we didn’t just listen to music in dramatically different ways -- the entire process of how we consumed it was, necessarily, tied to a slower, more ritualistic epoch in our history. Understandably, talking about listening to music on antiquated machines probably sounds as old-fashioned today as the idea of people watching silent movies with sub-titles did to kids like me, almost exactly 30 years ago. So, let’s turn our attention to a lost art that used to be, in every sense of the word, works of art: the album cover. Yes, they served as visual advertisements, meant to inform and entice, and at the height of their powers, attract an otherwise uninterested customer. But in practical terms, they also served a purpose later appropriated by magazines, music videos, and online lyrics searches. It was, for its time, the best approximation to intimacy, a crude sort of correspondence between the famous and their fans. In a landscape where “branding” was not an obligatory verb in the rock band’s repertoire, and interaction was neither free nor limitless (via computers), it was imperative for a band to produce a package that somehow captured, in a single image, whatever the album was about, and whatever messages the musicians hoped to express, both explicitly and implicitly. (Remember, in many cases, you saw it before you heard it.) Of course, these considerations were largely extraneous to pop star posers unburdened by issues of integrity and originality; they were after commercial success and mostly made dispensable music that’s appropriately been forgotten. For the bands, especially during the apotheosis of vinyl’s heyday (circa 1964 to 1979), that were making music meant to endure, a paradigmatic album cover could bolster street cred and impart authority. Influence, too. 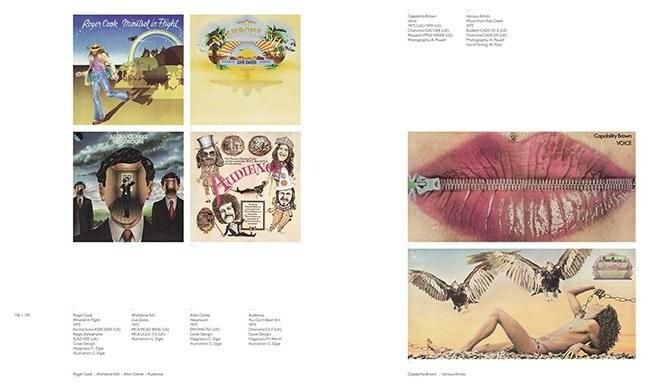 And during this time when rock music kicked a boot (or, in some cases, platform sole) through the proverbial door and insisted --correctly-- on being considered Art-with-a-capital-A, no single studio did more than Hipgnosis to at once legitimize, refine, complicate and exemplify the synergy between music and message. Founded, not uncoincidentally, the same year Sgt. Pepper’s Lonely Hearts Club Band helped initiate the “rock as art” movement (1967), Hipgnosis began as a small concern with modest ambitions. Suffice it to say, Storm Thorgerson and Aubrey “Po” Powell could scarcely have imagined the ways their work would impact culture. 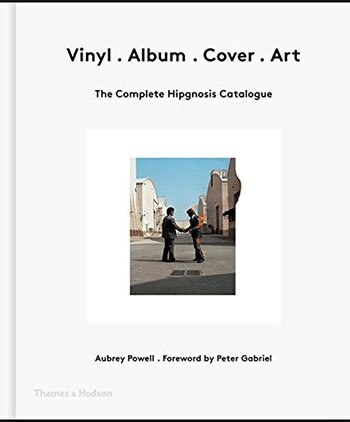 The Complete Hipgnosis Catalogue should immediately be considered the definitive history and showcase this genre-shattering collective, an instant classic if ever there was one. They’re all here: arranged in chronological order, some of the best-known album cover designs of all time, alongside the obscure, the unappreciated and, in more than a handful of cases, the awful. Merely having every Hipgnosis cover finally housed in one collection would constitute an invaluable coffee table conversation piece. The addition of a droll and understated introduction by Peter Gabriel, as well as ongoing commentary from Powell (Thorgerson, alas, left us in 2013), makes this new release vital for, in no particular order, prog rock freaks, classic rock fans, cultural historians, and anyone who wants to better apprehend how the avant-garde impacts the mainstream. While this volume will attest to the staggering diversity (and quality!) of bands Hipgnosis worked with, the most essential partnership was the one they had with Pink Floyd. Old friend and occasional flatmate Syd Barrett (who went on to name and lead Floyd) provided Hipgnosis its name courtesy of a fortuitous handwritten message on an apartment door. Everything about this story seems to summarize both Barrett and Hipgnosis: Syd’s whimsy and acute intelligence; Powell and Thorgerson’s eye for detail, opportunity and decidedly outside-the-box thinking. Certainly, the subsequent work, designing all of Floyd’s early covers (and Barrett’s two solo efforts), did much to augment the fortunes and legends of all involved. An entire essay could be dedicated to the astonishing, iconic work Hipgnosis did with/for Pink Floyd. Contemplating anew the unassailable genius of The Dark Side of the Moon, Wish You Were Here and Animals one must ponder: has there ever been such a successful and sustained marriage of sound and vision in popular culture? 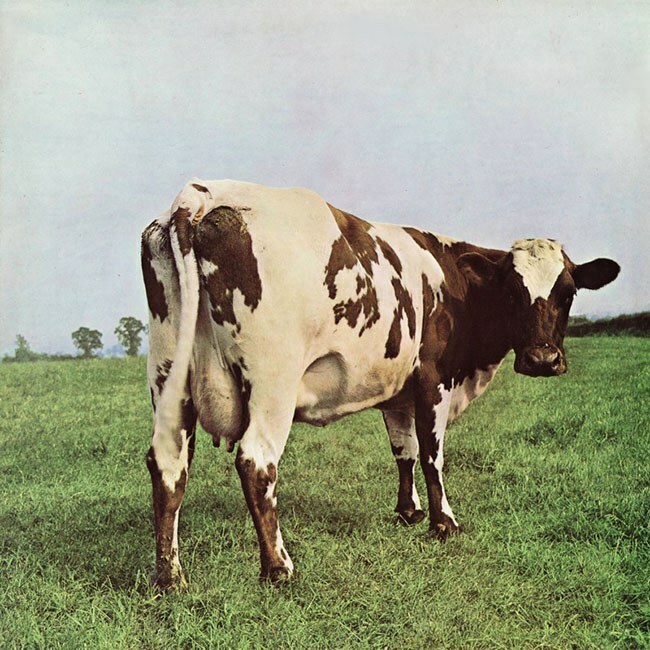 Still, a case could be made that the most significant image Hipgnosis provided is the cheeky choice for 1970’s Atom Heart Mother. Undoubtedly, that it became Floyd’s first number one hit in the UK was crucial, but consider its brazen, almost indifferently Dadaist presentation: a single cow in a green field, no album title or mention of the artist, was at once an ironic thumbed nose to convention and a game-changer: how better to convey the anti-commercial coolness Floyd embodied than defy the ostensible purpose of everything an album cover is supposed to do? After this, matters of tradition and expectation became increasingly peripheral, and many of the hippest and most successful bands wanted in on the action. As the ‘70s commenced, Hipgnosis were kings of the conceptual hill. 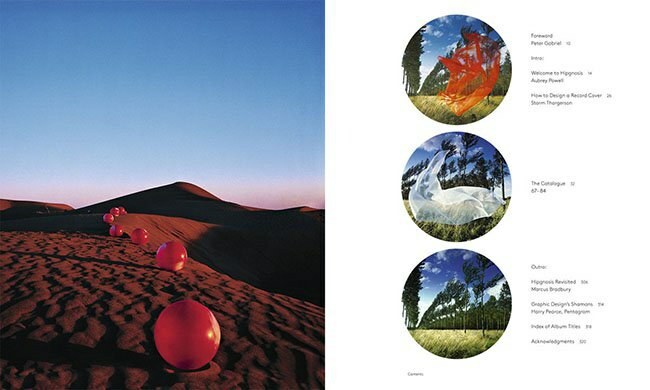 Heavyweights ranging from Led Zeppelin to Paul McCartney, Black Sabbath, AC/DC, Genesis and Peter Gabriel employed Thorgerson and Powell to mastermind the way certain masterpieces would be seen and (mis)understood. The resulting work is, at its best, epic and immortal, but Powell reminds us that this was often unsexy work. With a genuine humility, he’s more keen to critique than indulge as he details the unromantic marathon between sketch and execution. While he understandably takes pride in most what he did, the descriptions of dealing with difficult egos, blown budgets and especially scissors and glue, underscore the sweat, tears and time this labor of love involved. Reading about the slim line between epiphany and excess, one quickly comprehends it’s not unlike every other art form: tons of false starts, doubts and distractions, all with the goal of making the final product appear seamless. Indeed, Powell’s insight helps delineate the main difference between work that hopes to come off as tortured and untamable with that which seems simple and inevitable: discipline.